Tea cozies are not only useful but also very decorative. 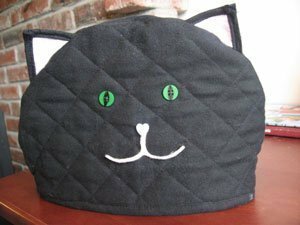 Making your own cat themed cozy makes for a fun craft that is sure to bring a smile to your face and lots of compliments. This is a guide about making a cat tea cozy. 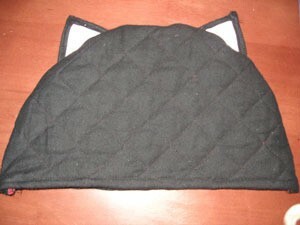 This cat tea cozy is a great gift to make for cat lovers who also like tea. Make 2. Loosely measure your teapot's width and add at least 3 inches. Loosely measure the height of the teapot and add 2 inches. Using chalk draw a semicircle on the inside of the fabric. 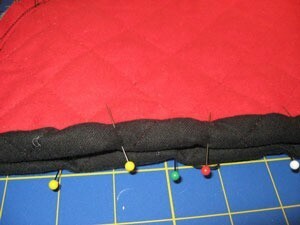 Place a few pins around the semi circle to hold the fabric in place. About an inch out from the chalk line cut around the semi circle. 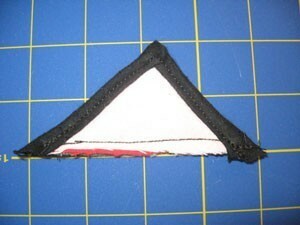 Make a hem at the bottom end of the semi circle and set aside. 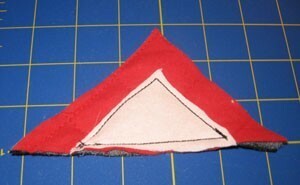 Cut two triangles out of the quilted fabric about a half an inch bigger than you want your cat's ears. Cut triangles out of the pink flannel the size you would like the inside of the ear to be, about a half an inch smaller than the quilted fabric. 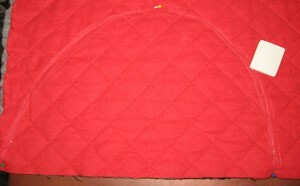 Place the pink flannel on top of the quilted fabric, pin and sew in place. 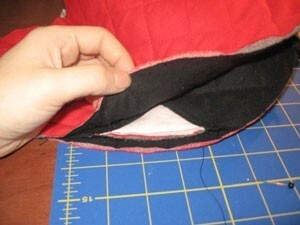 Now separate the two of the layers of the quilted fabric from the back piece of the fabric and cut the two layers off. 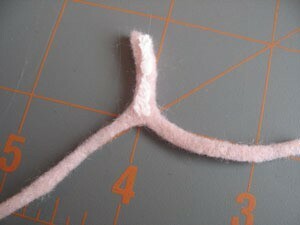 Fold the remaining layer in towards the pink flannel, to create the hem, pin down and sew. 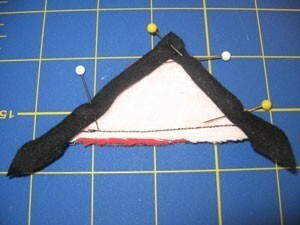 Turn your fabric right side out and decide the placement of the ears and pin them in place (pin being placed on the inside). 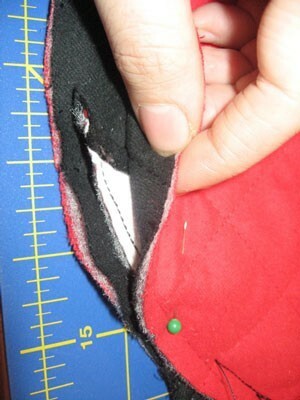 Turn your fabric inside out and sew around the semi circle. 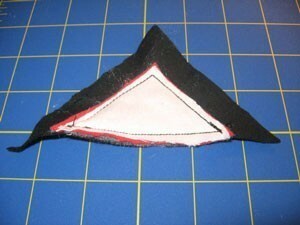 Turn your fabric right side out and your ears should be secured in place. With my buttons I took a permanent marker and drew on the pupils. Place the buttons where you want your eyes and sew in place. 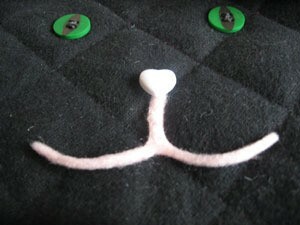 Place your heart shaped button in place for the nose and sew down. 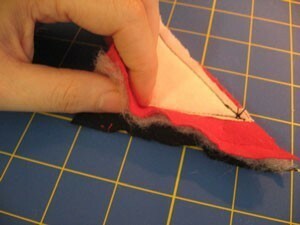 Cut the felt thinly into the shape of a mouth. I chose to only glue down the stem coming down from the nose so I could play with the shape of the mouth making the cat sad, happy or disgruntled. You could also choose to to glue the whole piece in place. WOW, looking at the page date it reads 11/06 I find it hard to believe no feedback for a year. This project is awesome, and FREE. Thank you,Thank you, Thank you! That is so cute! Thank you for sharing it! This is so cute I was inspired. I'm thinking kitten egg cozies. Make a small version of this and cover your hard boiled egg in its cup or a medium version could be used to cover your coffee cup and keep it warm. You might want to use insulated fabric for these but otherwise all would be the same but scaled down.